By leveraging brand intelligence data and insights, real-time trend identification, historical consumer interests, and keyword associations, Amobee delivers targeted, relevant, and captivating digital experiences across all channels from a single platform. Amobee for Twitter runs on the Amobee Digital Marketing Platform, using the cross-channel Amobee DSP. Its ads API integration with Twitter uses a unique targeting engine which analyzes over 60 billion digital content engagements daily across the web, mobile, social, and video. 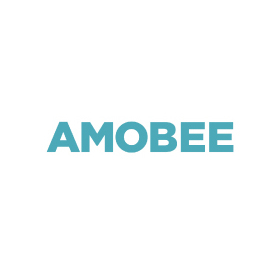 Amobee delivers maximum reach and influence while increasing engagement, brand awareness, and affinity with Amobee Brand Intelligence technology and cross-channel digital marketing solutions. In addition, Amobee for Twitter includes: campaign management, optimization, and reporting on Amobee DSP; cross-channel campaigns across mobile, social, display, and video; real-time content discovery; influencer indexing and targeting; intent-driven keyword analysis/targeting; historical consumer interest targeting; demographic targeted by gender and enhanced geotargeting; and Tweet delivery by country. With sophisticated machine-learning algorithms and granular campaign management capabilities, the Amobee platform generates maximum performance against advertiser goals. Amobee’s proprietary technology, data, and insights bridge the gap between social and the rest of the digital ecosystem at a global scale. By leveraging Amobee Brand Intelligence data and insights, real-time trend identification, historical consumer interests, and keyword associations, the Amobee platform delivers targeted, relevant, and captivating digital experiences across all channels from a single platform.